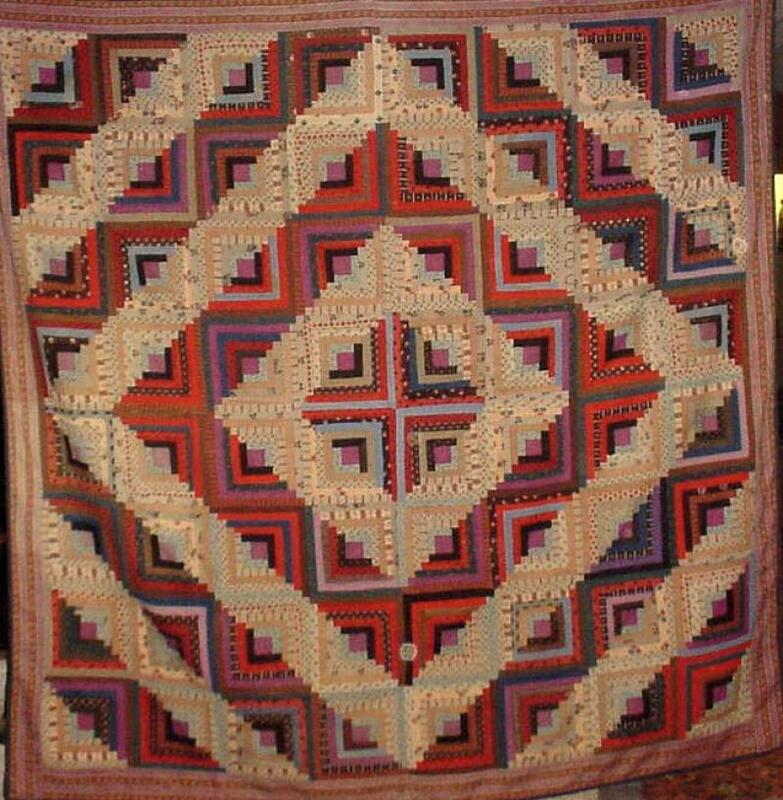 This Barn Raising variation of the Log Cabin pattern is one of THE CLASSICS of American quiltdom. It has a thrilling optical charge. The narrow strip piecing comes together to form a dramatic pattern that is a feast for the eyes. The late 19th century beautiful wool challis prints are a fabric collector's delight.